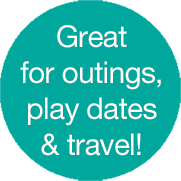 organicKidz® thermal baby bottles make outings, playdates and travel much easier and more convenient. Our 9oz Narrow Necked bottles and new 7oz Wide Mouthed bottles keep liquids hot or cold for 6+ hours. No more worries about trying to find hot water to heat bottles or safe, sanitary water for formula feeding! And no more ice packs or insulated bags to tote around! 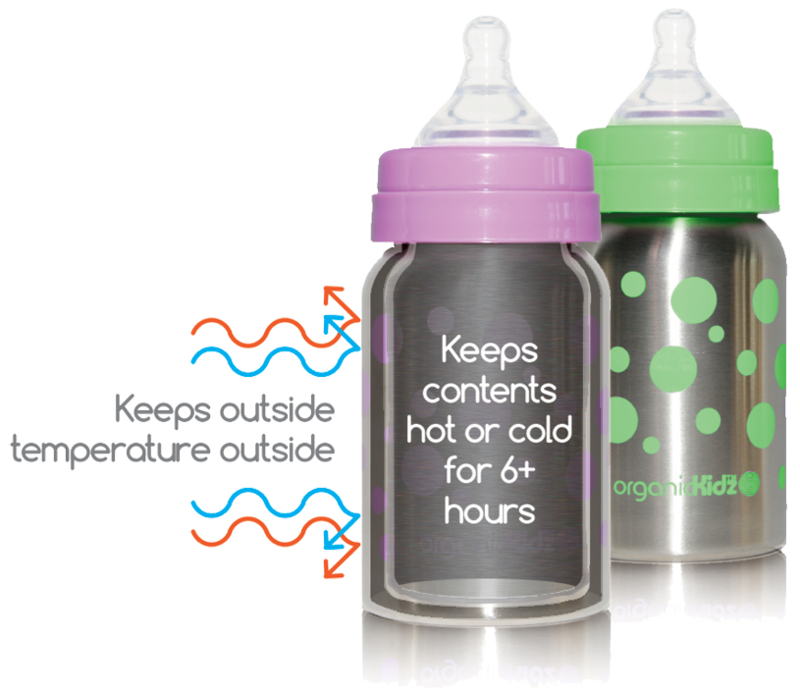 You can even put frozen breast milk in our thermal bottles – for when mom and baby are apart. Like all thermal containers, the hotter or colder the liquid is when you put it in the bottle, the longer it will keep that temperature. Whether you need cold milk on the beach or warm bottles on an outing, our thermal bottles have you covered! Our accessories convert all organicKidz® thermal bottles from Baby Bottle to Sippy Cup and then to a lunch box friendly Water Bottle – as part of our “Life Bottle” system. Try out our new thermal food containers too – family friendly designs without all that bulky plastic!